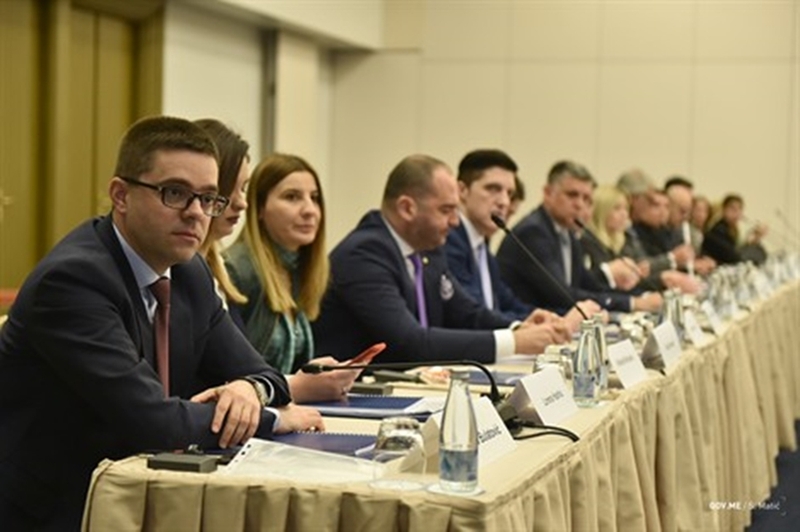 The Montenegro Ministry of Sports and Youth, with the support of the OSCE Mission to Montenegro, organised a conference dedicated to strengthening the Adriatic and Ionian cooperation in the field of youth policy. Minister of Sports and Youth, Nikola Janović, assessed that Montenegrin chairmanship of the Initiative, which promotes economic and social growth in the region, as well as European integration of the Western Balkans, is of particular importance to Montenegro. “Through the close cooperation with the countries of the region as well as the member states of the European Union, Montenegro actively participates in defining priorities that are important for the entire Adriatic and Ionian region. In all areas of common interest at the regional level, it is necessary to work diligently and consciously to improve the conditions and create opportunities for young people”, Janović said. Head of the OSCE Mission to Montenegro, Ambassador Maryse Daviet, emphasised that the OSCE recognizes the importance of working with young people and the very important role they play in building a peaceful and secure environment. For the first time, the Conference gathered representatives in charge of youth policy in member countries of the Adriatic and Ionian Initiative, with the aim of intensifying cooperation in the mentioned area. “Montenegrin chairmanship of the Adriatic and Ionian Initiative has been very successful, and I would like to congratulate you on the efforts you are making in developing partnerships with all the countries of the region”, Ambassador Fabio Pigliapoco stressed.